Savills real estate with five offices on Sydney’s North Shore sold seven residential properties in one day, Thursday 15 November, proving buyers are hungry for properties before Christmas. 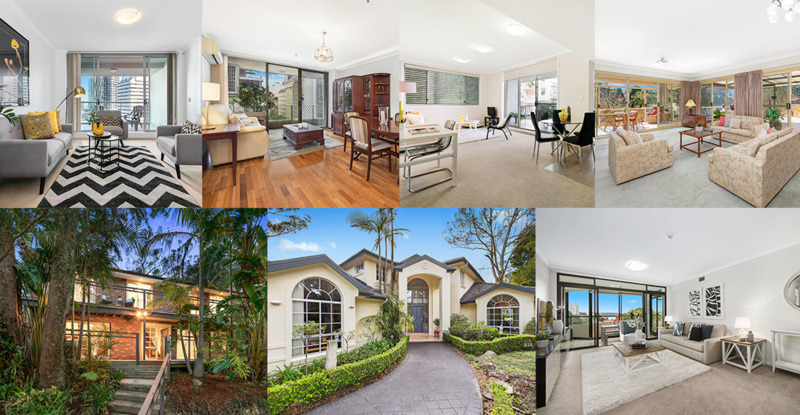 An early morning deal saw 15/132 Junction Lane, Wahroonga sold by Leonie Piper from Savills Turramurra who had been marketing the glorious sun-filled over 55’s apartment with an epic 127sqm treetop terrace. Thomas Skelly from Savills Gordon sold 701/170 Ocean St, Edgecliff prior to auction in only two weeks, for $2,550,000. The 3 bedroom apartment with Harbour views was sold to a local couple looking to downsize. On a roll, Thomas also sold 66/25 Market Street, Sydney for $1,025,000 to a first home buyer from St Mary’s who is moving into the city to be closer to work. “There’s an oversupply of apartments in the city right now, so matching a buyer with a specific property that suits their needs was the key to selling this property in two weeks, when the average days on market for Sydney is up at 50. It’s critical in this market that agents communicate openly with vendors to set realistic price expectations and experience really matters in this market. On the other side, it’s imperative that buyers are prepared with their finance for when their ideal opportunity presents itself,” said Mr Skelly. In Gordon, 27/32-34 McIntyre St was snapped up by a couple downsizing from their family home in Parramatta to be closer to their children in Killara. Lucy Liu from Savills Gordon was marketing the 2 bedroom apartment only moments to Gordon Centre which features a covered entertaining balcony, modern gas kitchen and stylish bathrooms. With rain pouring down at Pymble Golf Club, there was tough competition at the auction for 8 Burraga Place, Lindfield sold by Elizabeth Bailey and Charles Caravousanos from Savills Lindfield for $1,660,000. Two young families vied for the 4 bedroom family home in a sunny elevated position on 853sqm of land at the end of a peaceful cul-de-sac. “The media coverage about the property market has been fairly negative yet there are still high levels of interest in properties on the North Shore. With record low interest rates, high levels of immigration and high first home buyer and downsizer demand, the North Shore remains a top performer and a resilient key market for aspirational buyers,” said Mr Caravousanos. 15a Wahroonga Ave, Wahroonga was passed in at auction but sold shortly afterwards. The substantial Mirvac family home in the exclusive east side address offers multiple living and entertaining zones for the whole extended family to enjoy. Leonie Piper from Savills Turramurra negotiated the deal. A sophisticated sky home in the heart of Chatswood CBD, 1208/2a Help Street, Chatswood was sold for $700,000 by William Chan from Savills Lindfield. Set in the prestigious Regency development the 1 bedroom apartment is a relaxing haven with effortlessly stylish interiors and al fresco entertaining with far reaching views. St Ives Food & Wine Festival - This Sunday! Property Styling – what is it?